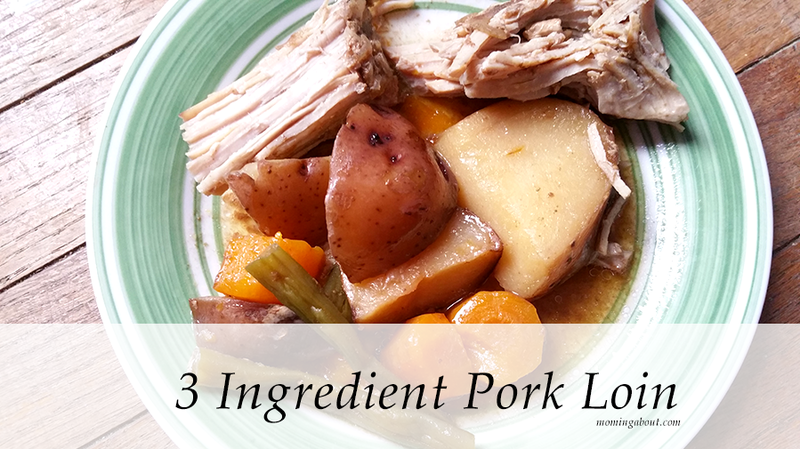 This simple, crock pot recipe only requires three ingredients plus your pork loin. The leftovers are good by themselves or for sandwiches. It makes a great make ahead or freezer meal, too! Ever since I discovered pork loin, about a year ago, I have been in love. It cooks wonderfully in a slow cooker, is affordable, and can be made so many different (and delicious!) ways. This dish is no exception. It's also easily made into a meal. Another plus! 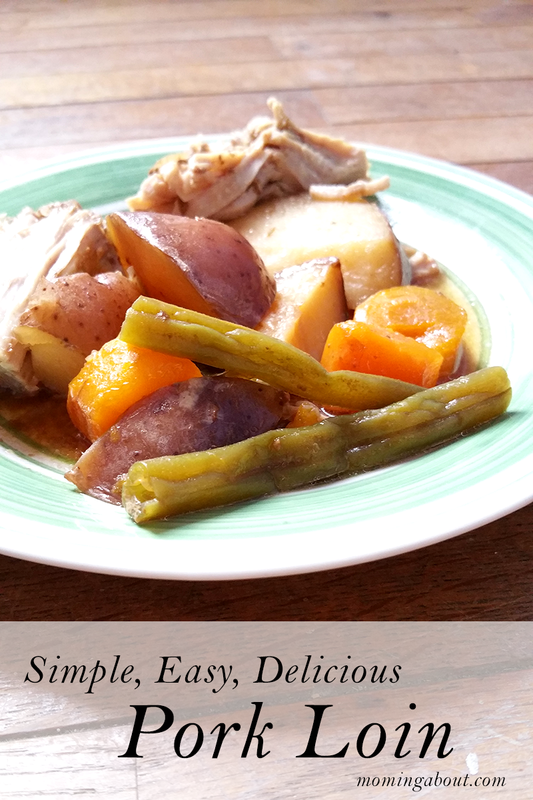 If you wanted to, you could cook this in the oven, but I think it comes out much better in the slow cooker. Optional veggies, if making into a meal. Mix Worcestershire, french onion soup mix, and broth or water in small bowl. 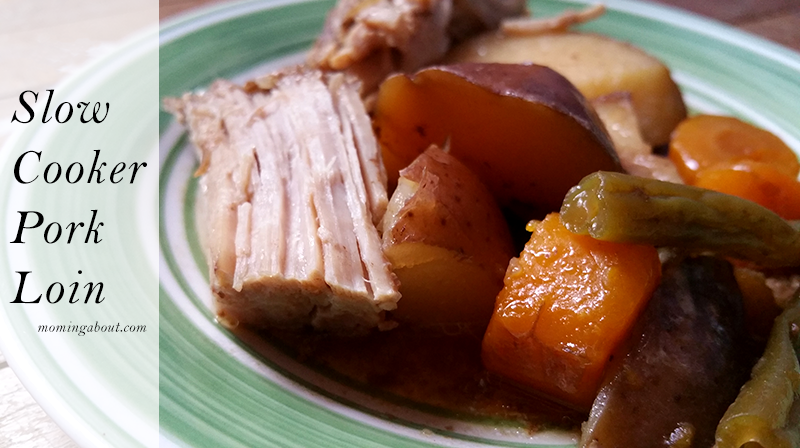 Add pork loin to slow cooker and vegetables, if you decided to add those too. Pour french onion mix over pork loin and cook on low for 4 to 6 hours. What's your favorite way to eat pork loin? 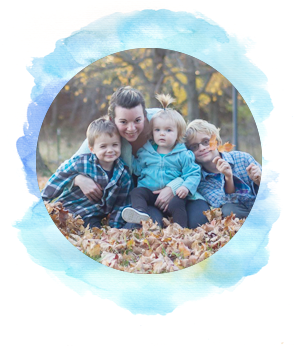 Do you have a favorite slow cooker recipe? YUM! Need to try this... 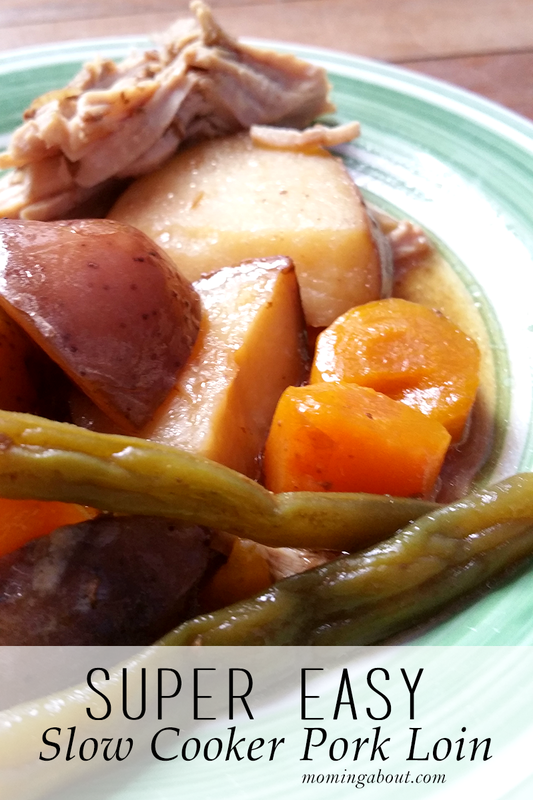 I <3 my crockpot and anything that has less than 6 ingredients!! This looks so good! I love crockpot meals! I live for crock pot meals and this looks amazing. This sounds so easy and so delicious! Thanks for sharing!